On March 9th of 2013 a funeral service was held for Mareta Morgan at the Green Hills Cemetery in Asheville, NC where a white dove release was presented as a tribute to her life. Unfortunately the final bird was attacked by a hawk which has rarely occurred in the 8 years I have been presenting dove releases however on this day it happened to one young bird. Following the service I found the small dove, severely injured, who was miraculously alive, brought her home and witnessed her will to survive. I named her Mareta and was able to establish communication with the daughter of the deceased. It seems, Mareta the dove kind of became a testimonial to the strength and tenacity of her mother, Mareta, and therefore represented something very special to this family. 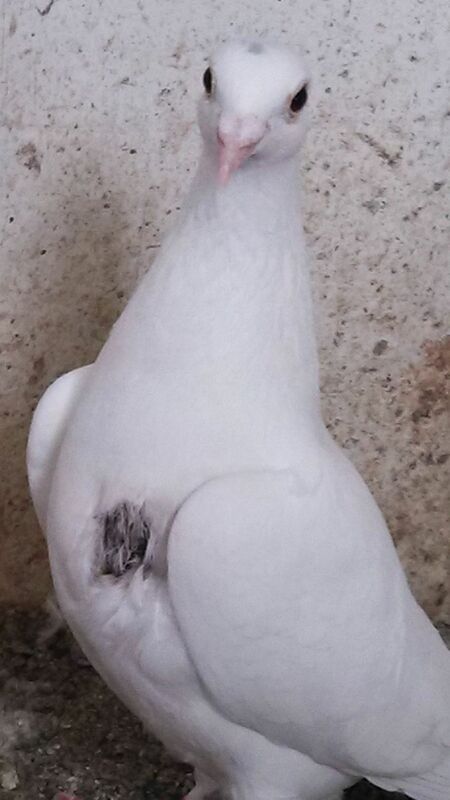 I am happy to share that now two months later to date, Mareta the dove appears fully healed. She recovered most amazingly and is flying here at the house and loft with all the other birds as though she had never had a brush with death. Notice how you can barely see the spot on her Mareta’s chest…and how she holds her head up proud. May your will to live and your strength of flight be ours to behold, dear Mareta the dove. Perhaps you read the previous post of this amazing story of the white dove that survived a hawk attack last month during a white dove release on March 9th, 2013. As I previously stated, occasionally there are attacks from predators and this is something we cannot avoid if these birds are given the freedom to fly, which is their nature and delight. Groce Funeral Home graciously shared a version of this story on their GroceFuneral Home/facebook page if you are interested in reading it. Mareta is continuing to gain strength each day since her incredible attack. She is a small dove, petite in size, yet shows great tenacity in her ability to recover from her almost fatal incident. 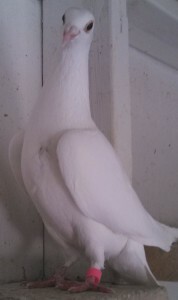 I saw Mareta the other day flying within the loft and enjoying the outside porch. Her wound, although visible, is healing quite well. I can see new pin feathers surrounding the affected area. And just today I watched as Mareta ventured out for the first time since her attack from the loft into the yard to enjoy the wet grass from the rain with the other birds. Then suddenly in a moments time I saw her take flight with the flock. Amazing! Wow, in just 3 weeks, Mareta is back at flying! She circled twice but she knew her limits returning to the loft…for supper. What a spirit she has for survival! Yeah! Releasing white doves, uplifts spirits and celebrate life! The releasing of white doves is an ancient tradition throughout many parts of the world. Within the western hemisphere the white dove release is a relatively new and unique way of celebrating weddings, funerals or special events. 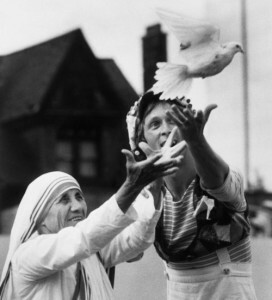 The white dove is a universal symbol of peace, hope, love and faith. It is a symbol of our eternal spirit. 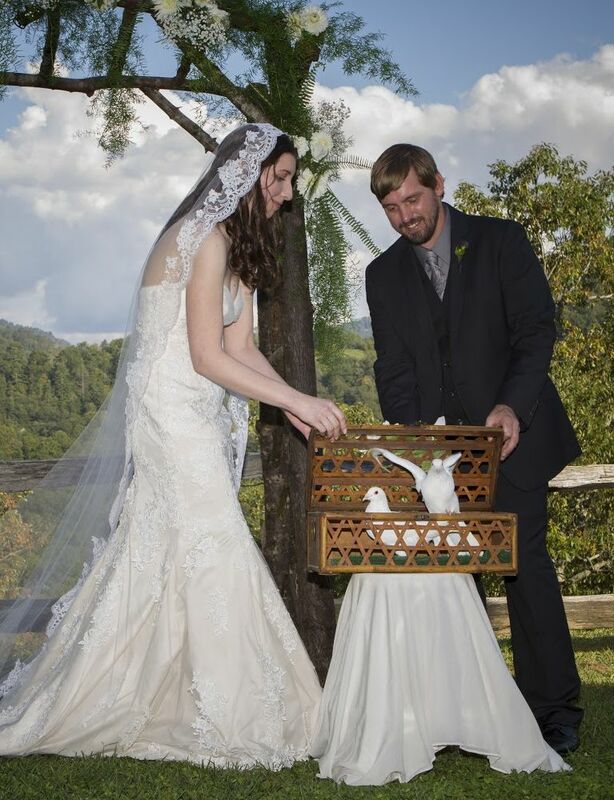 Regardless of whether you are doing your own planning, working with an event or wedding planner or your local funeral home, a white dove release will add unforgettable memories. White doves celebrate milestone events unlike anything else. Are you needing a unique wedding idea? Are you looking for fundraising ideas that will attract an audience? Or do you need a creative anniversary idea? Think about releasing a white dove for every year to represent a birthday or anniversary. White doves also make great party themes. What princess party wouldn’t love to release doves? Or a kid’s party to include a white dove release. One dove can represent each birthday. We also have a small tame dove available for petting? Are you a teacher? Looking for a short educational program that will include live animals? 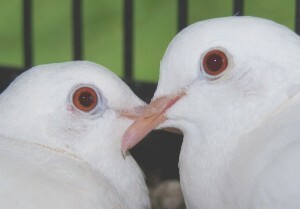 White Rock Doves (homing pigeons) have a fascinating history. The white dove makes for an interesting interactive children’s program. 1 happy customer: Julia, we loved working with you. Your love of the birds and the message that you bring with them came through in a very special and moving way. You were so willing to share your knowledge and care of these beautiful creatures to everyone at our event. Your ability to interpret the setting and integrate the white dove release into our celebration was greatly admired and we would highly recommend your business to anyone. It is a beautiful and reflective way to mark an event. No matter what the event may be, wedding, funeral, memorial, or special event, white doves gracing the sky will uplift the spirits and celebrate life for all who witness it. Do something really different! 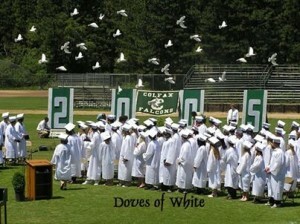 Celebrate a graduation, reunion, homecoming, bon voyage, or recovery with a memorable dove release. Are you planning a memorial or funeral service? 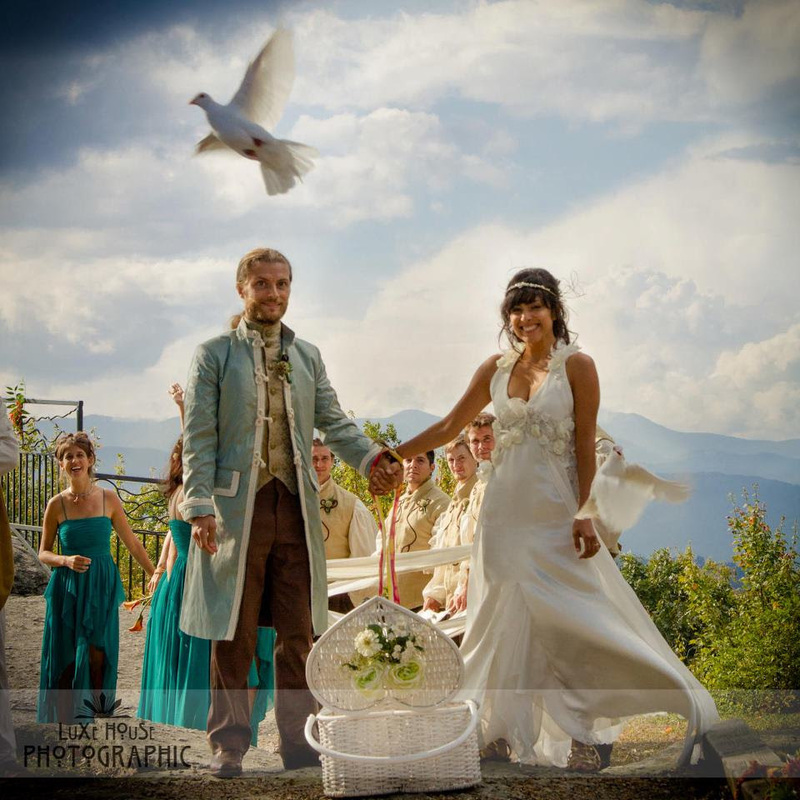 Have you asked your funeral home about adding a white dove release to your ceremony? We work with you and your local Funeral homes to incorporate our services. Was your loved one cremated? Pick a beautiful outdoor location, any time of the year, and we will provide a simple elegant and private memorial ceremony for family and friends. Releasing white doves brings comfort and peace at a time of loss. 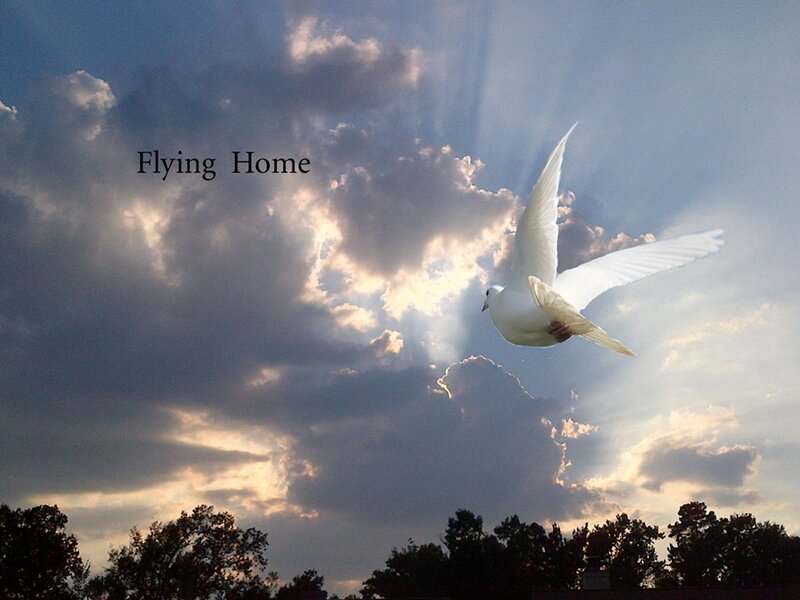 Our specialty is writing, creating and presenting a personalized white dove release for your special event. Remember, we use only Rock Doves who are professionally trained to return to their home in Asheville, North Carolina. Have you found a white dove? Please visit the link below for questions concerning lost birds. Blog for White Dove Release Professionals Visit the link for interesting articles related to professional white dove releases. THINKING ABOUT RELEASING BALLOONS instead of white doves at your special event? Check out this website and think again. Balloons Blow…Please, don’t let them go! Dove Release vs. Butterfly Release, click on the link and scroll down in the page for more information.